Rain forests are the oldest ecosystems on our planet and harbor an amazing diversity of animal life. Forest-dwelling snakes are uniquely adapted to life in this habitat, whether that be in the canopy, on the forest floor or in the rivers. Snakes that inhabit forests have adapted in order to successfully hunt prey and prevent themselves from being eaten. These snakes possess physical adaptations which allow them to best function either in the water or in the trees. Arboreal or tree dwelling snakes possess prehensile tails, with which they grip branches as they hunt in the forest canopy. These forest snake species, which include Asian pythons, and certain vipers and boas and vipers, also use their gripping tails to anchor themselves while feeding on freshly caught prey, such as other reptiles or birds. Forest snakes, which live and hunt principally in the trees, use their body muscles and ribs to easily move along branches in the forest canopy. Constrictors that inhabit forests have flexible skulls and jaws which can unhinge to swallow huge prey items. Burmese pythons are capable of ingesting an entire deer and can survive for months on this single meal. By eating large meals, these snake species can conserve the energy which they would have otherwise used on repeated hunts. The ability to swallow very large animals has the added advantage that these snakes do not need to loose the opportunity to capture an animal when the opportunity presents itself. Certain constrictors, such as the green anaconda from the tropical rain forests of Amazonia, is completely at home in water and can remain submerged for up to 10 minutes. The nostrils and eyes of this forest-dwelling snake are located on top of its head, so that the reptile can remain hidden under water, while still being able to breathe and see. Green anacondas prey on caiman, which are relatives of crocodiles and alligators. 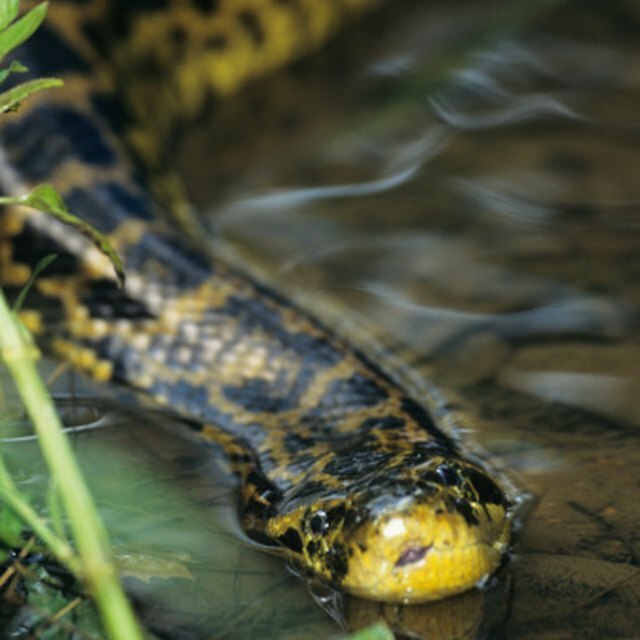 These snakes also lie submerged in the water and ambush forest animals which come to the river to drink. Snakes that live in forest environments possess colors to camouflage them, thereby allowing them to hunt without being detected and to prevent predators from noticing them. 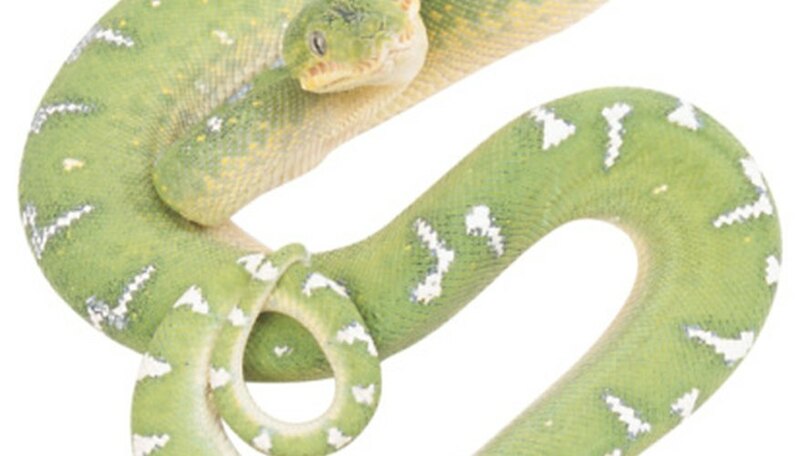 The majority of these various snake species, such as the bamboo pit viper, have an overall green color, which blends in perfectly with the forest foliage. Bolton, Naomi. "How Snakes Adapt in the Forest." Sciencing, https://sciencing.com/snakes-adapt-forest-8701682.html. 25 April 2017.